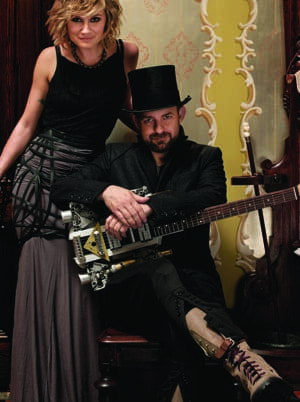 Sugarland’s latest album, The Incredible Machine, recently received platinum certification from the Recording Industry Association of America (RIAA) indicating shipments of more than one million units. This marks the duo’s fourth consecutive release to reach platinum or multi-platinum status. It brings Jennifer Nettles and Kristian Bush‘s career total to more than 9 million records. Sugarland’s 2011 The Incredible Machine Tour opens March 3 in Houston, TX, and ends in their hometown of Atlanta, GA on October 22. Last year’s The Incredible Machine Tour was one of Pollstar’s Top 50 North American Tours of 2010.